There are currently four options under review for the I-275 downtown Tampa interchange. 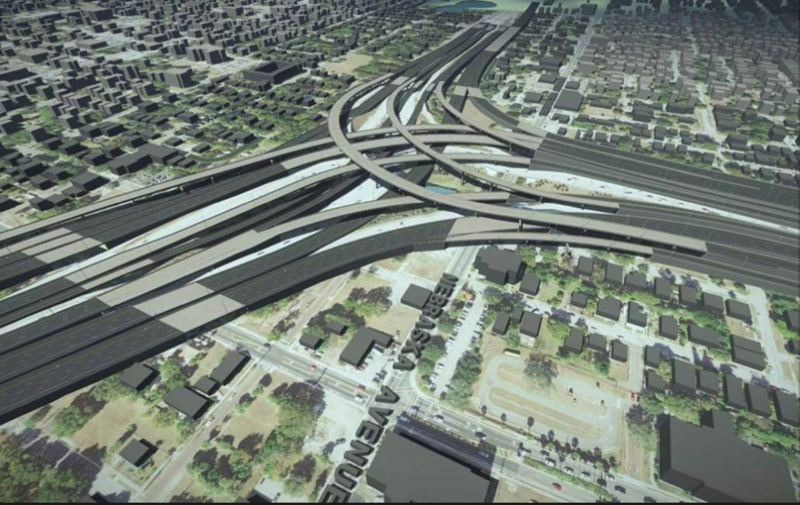 3-D renderings from the Florida Department of Transportation (FDOT) show one option being considered under the Tampa Bay Next plan could expand the interchange to more than 20 lanes wide. This option would include a complete reconstruction with possible tolled express lanes, much like what was outlined in FDOT’s previous Tampa Bay Express plan, also known as TBX. For more information on the Tampa Bay Next initiative, click here.